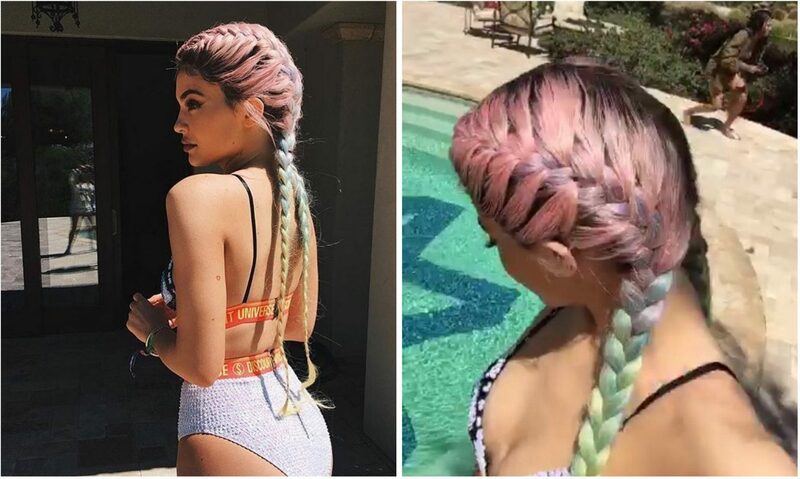 Coachella X Kylie Jenner: How To Do Festival Hair Rainbow Braids Easily! *SIGH* With Coachella festival and a myriad of plaitastic hair do’s filling our social media feeds and hearts with uber envy for the past week and a bit, we just couldn’t help ourselves! Yes, we thought it would be the utterly perfect time to share with you how to create your own little slice of hair envy to wow at this year’s festivals. Inspired by Kylie Jenner’s rainbow braids she rocked recently at the festival herself, we show you step by step just how easily you can recreate the look too. Click this way and prepare to become #InstaFamous fillies! It’s amazing how simple to use products can be stunningly effective. Seeing Kylie’s pastel perfection of braided hair with dark roots and a plethora of colour, we were like “What the WHAT?!”. We wanted a piece of the action and we wanted it quick. We might not have our asses in the sun at Coachella, but surely we could recreate this look? Right? RIGHT! And behold! With great products from Joico and The Hair Experts by our side and in our mitts, we knew we could nail a similar look – FAST! And trust us, you don’t have to be a braid specialist or colourist to be able to use these products and get an UH-mazing mane. 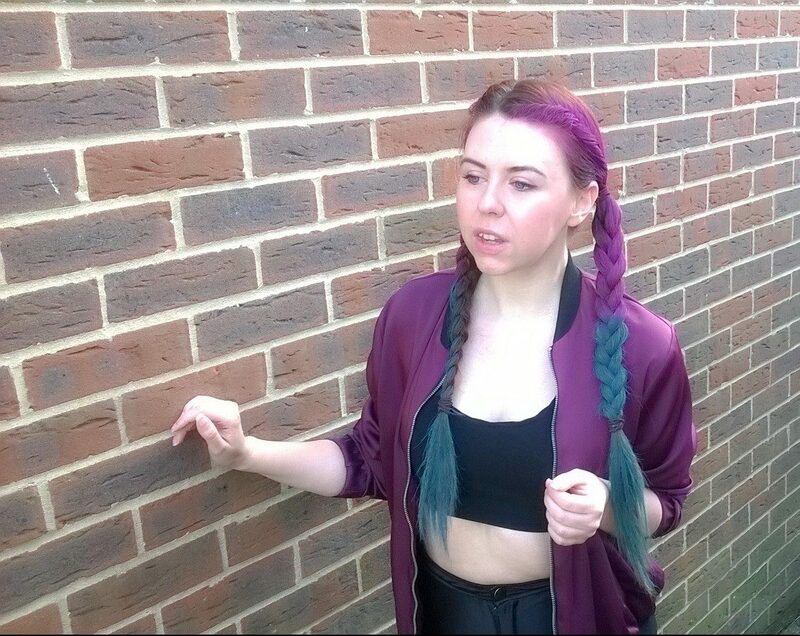 This look is all about the combo of braid and ombred colour and it is SO much easier than you would think. 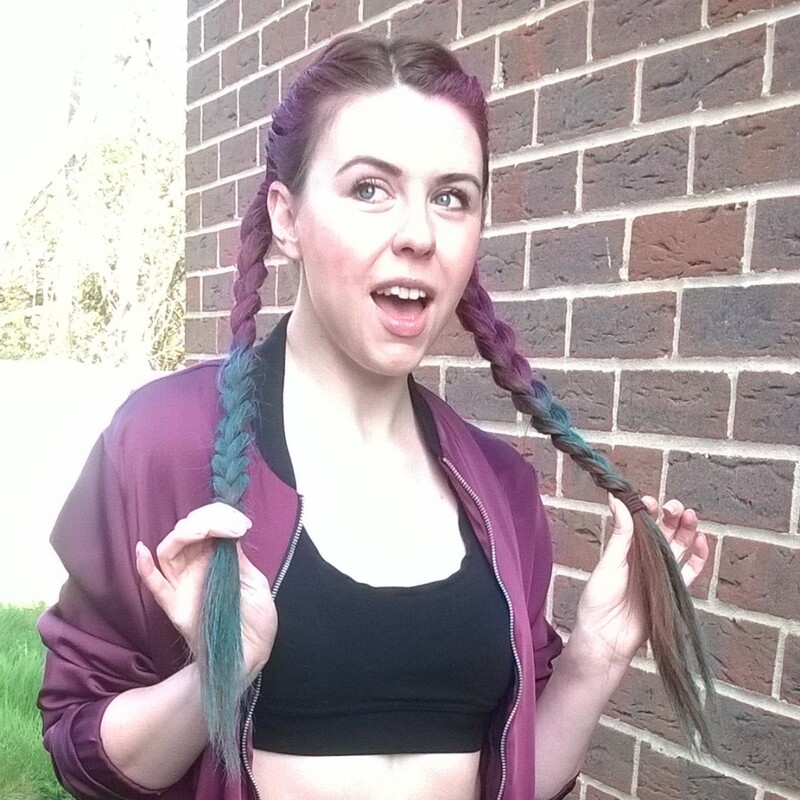 So first things first – let’s create those braids, beauts! Now, we for one know how hard it can be to create French braids on each other, let alone ourselves! But if our fellow independent fillies want to create the braided look without the fuss or miraculously growing an extra set of hands overnight – prepare yo’self to get your mind blown at how simply you CAN do it and in about 5 minutes! It’s also mega fuss-free to do if you are without a mirror or when your hair is looking a little under par. Just follow these steps to fierceness! Step 1: Create a middle parting, splitting your hair into two. Starting at the top of the parting, start twisting a small section of your hair. Move along the hairline to the top of your ear, twisting and gathering up a small section of hair all the way along creating a braid like roll. Step 2: Once you get to your ear, fasten with a clear or hair coloured band to keep the roll in place. You can choose to remove this later once the rest of the look is created, but for now it keeps your rolled hair neat and means it won’t become unravelled as you move onto step 3. 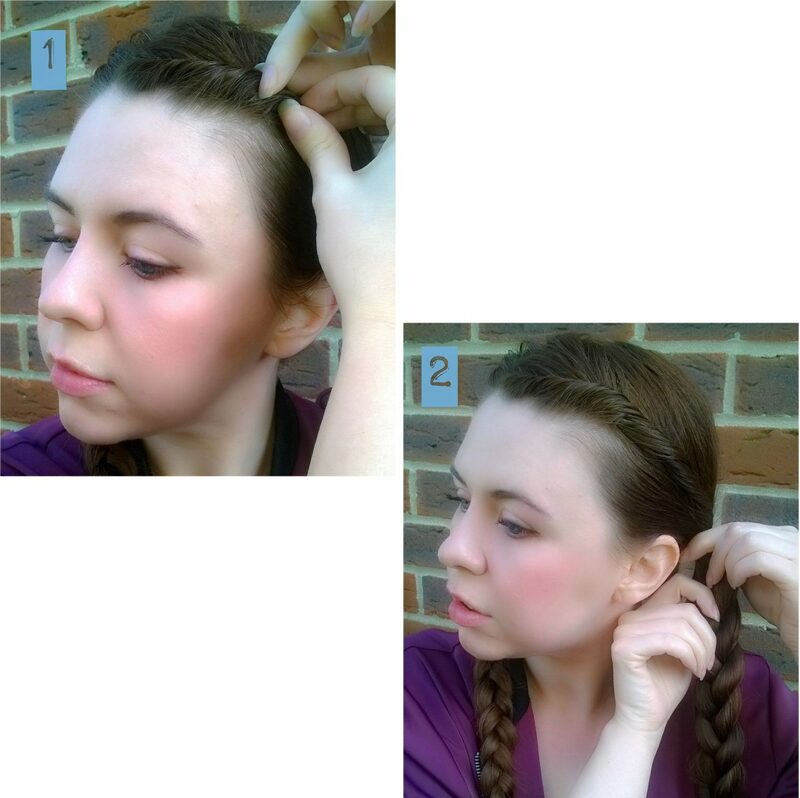 Step 3: Split your hair under the hair band into three and create a plait. We have gone with a traditional braid to keep it simple, but this look works well with fishtail plaits as well. 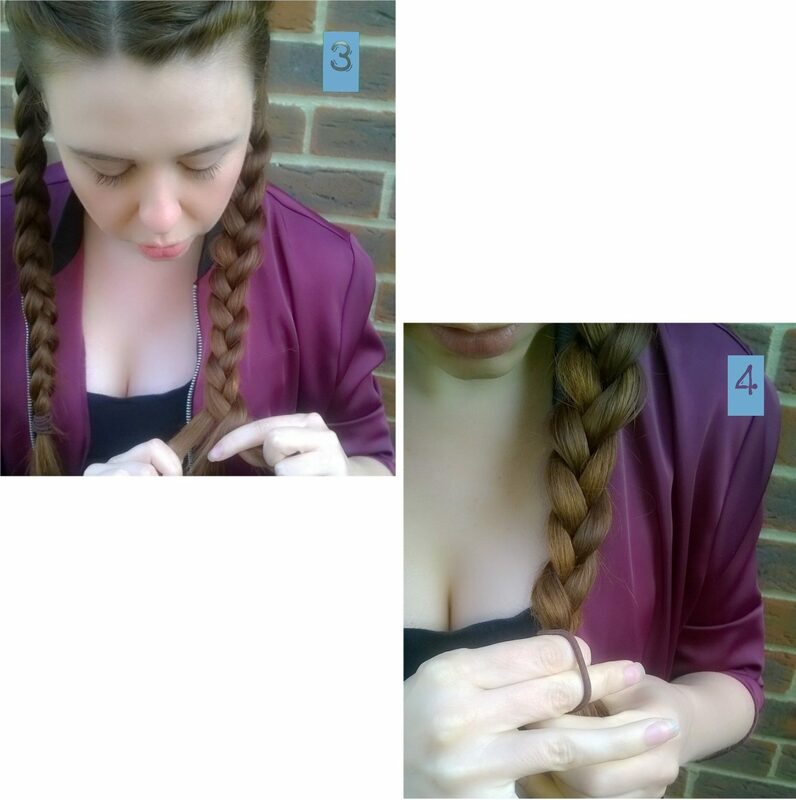 Step 4: Fasten your braid with another clear or hair coloured band and then repeat steps 1-4 again on the other side of your hair. And et voilà! You have got yourself a super simple braided look that King Kylie herself would be proud of! You can simply rock this look sans colour day into night to look perma-fab. Trust me, we road-tested this look on a day to a theme park and not even a G force rollercoaster will destroy this bad boi! Want to take your look to the next level though fashionistas? Well, then its time to grab some gorge in the form of The Hair Experts Intant Root Touch Up in Light Brown and Joico’s brand new Instatint in Pink and Mermaid Blue and you are ready to create a head-turning, eye-popping festival look that is hotter than the Coachella desert! To get the look, you’ll firstly need to darken up your roots. We used The Hair Experts Instant Root Touch up in Light Brown to create more of a contrast between our hair colour and the ombre to come, nailing the dark root look that Kylie has made her own. Getting the product in a completely different shade/colour to your natural or dyed locks gives you that whole undone rock chick edgy look, especially if you are blonde. Just load the brush with the product and sweep down the roots about an inch wide. For commitment phobes, this simply washes out once your festival is over, so you can rock those roots safe in the knowledge they won’ t be a permanent feature! PLUS this product is TOTES great for actually covering up any greys that might be popping up between dye jobs, obviously. There are a selection of shades available at Boots that blend beautifully, so be sure to check them out. Now your roots are sorted, it’s time to create the rainbow! 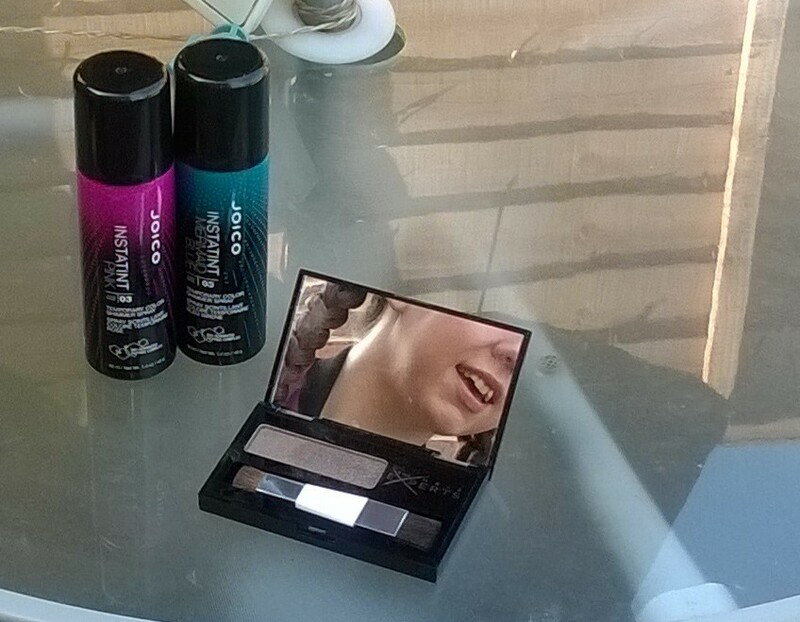 We chose two poptastic shades from Joico’s new Instatint range, Pink and Mermaid Blue. There are many shades to choose from in the range, so you can mix up this look with numerous combos and they are endlessly layerable – just wait between coats to intensify colour! They come in a fab 50ml size, which is perfect for festival packing or popping hand luggage. It also actively cares for your hair, guarding against frizz whilst enhancing shine. Yes, this is a temporary colour that delivers not only on pigment-packed colour, but cares whilst doing so! 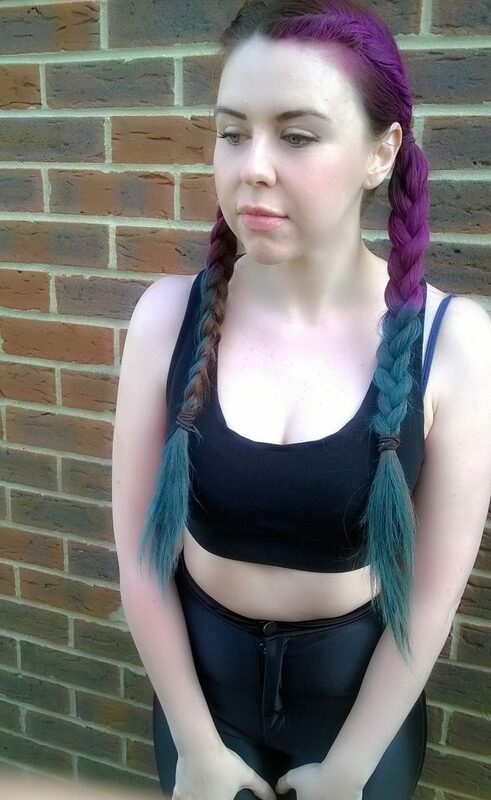 We started by simply spraying the pink about an inch away from our darkened roots to half way down our hair, before swapping to the Mermaid Blue. 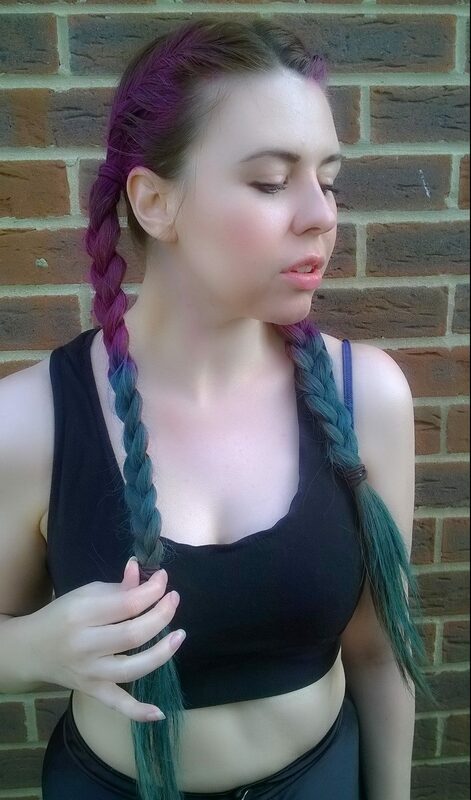 By crossing over where the Pink finished slightly, we got a purple look before merging into the striking blue all the way to the ends of the hair. We waited for the hair to dry (naturally if you are camping or if your doing the look at home, speed up the process with a hair dryer) and popped over another coat to get a bolder colour. Simple! No prelightener, relatively no mess and a look that’ll last about 3 days or until you want to wash it away. We’ve tried similar products on our dark hair before and they rarely deliver these kind of vivid results. Plus this smells AMAZING and doesn’t seem to rub off on clothes or pillows once dry. 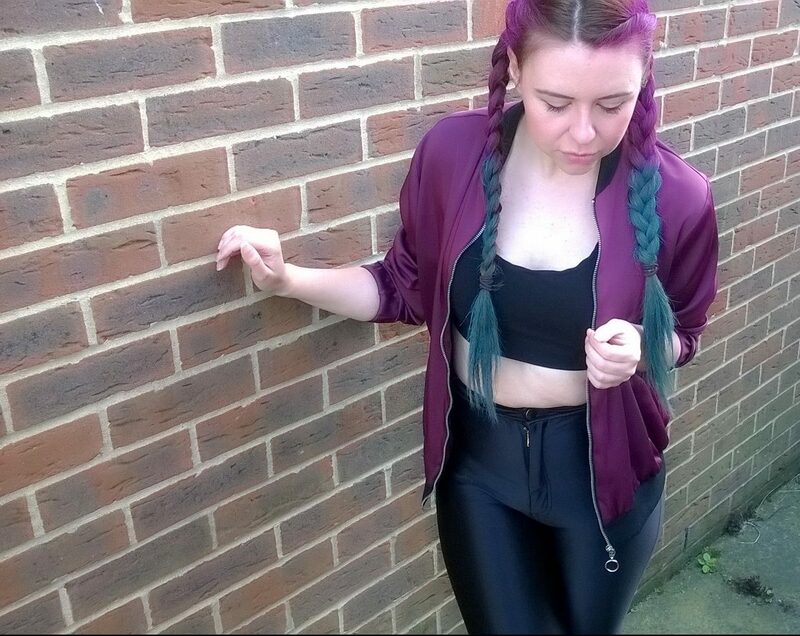 To complete the festival look from head to toe simply get out your high waist disco pants, grab your fave sports luxe bra top, throw on a beauts bomber, channel your inner Kylie Jenner and you are ready to be on FLEEK for this coming festival season. Coachella, our hair is ready for you! Love these looks? Heading to any festivals this year? We’d love to hear in the “Comments” section below! And be sure to keep your eyes peeled on FDJ LDN. We have more festival hair tutorials heading your way soon on Fashion Du Jour LDN HQ, so be sure to keep your eyes peeled! After some fashionista inspo? Visit our archive fashion and beauty posts NOW! P.S NEVER miss a post again! Simply subscribe by hitting the button in the top right of the page or follow us on Bloglovin’ to always be up to date! And why not check out our social media accounts on Twitter, Instagram and Facebook too? 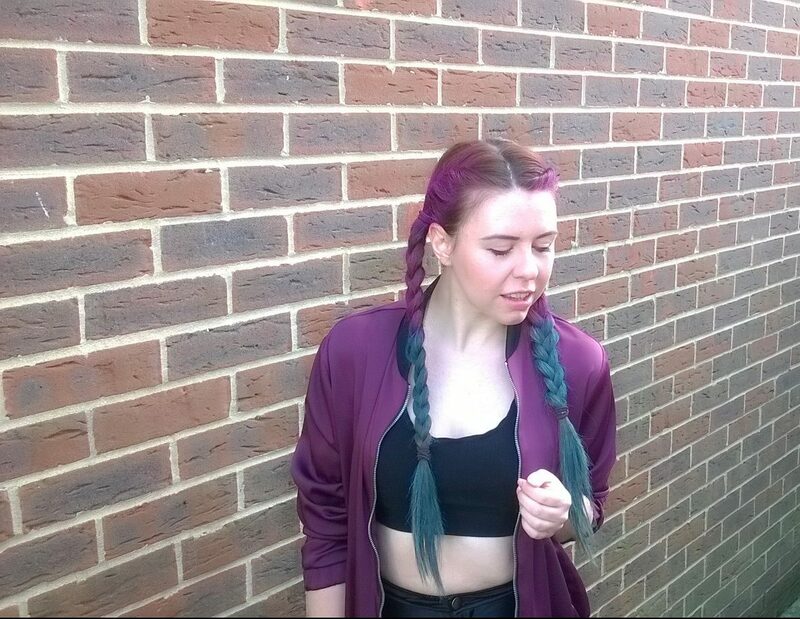 I love this hairstyle, I wish I could plait my hair like that but I’m so rubbish when it comes to french braids. Exactly Whitney! No damage at all – if you don’t like the colour/s, they simply wash away 😀 it’s brilliant! Honestly, I am just so impressed by this – I couldn’t do this if you left me days and days to try! Looks great. 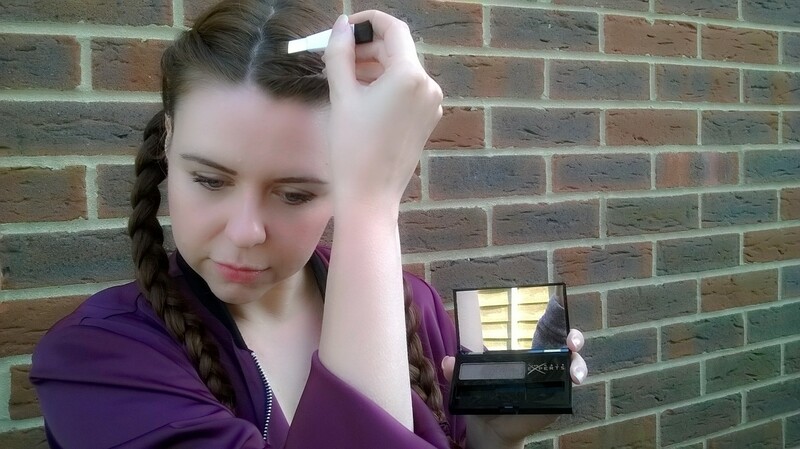 This is really amazing – I can’t believe how well you’ve managed to do it! Wow! Thanks Sarah -it’s so simple to do too. 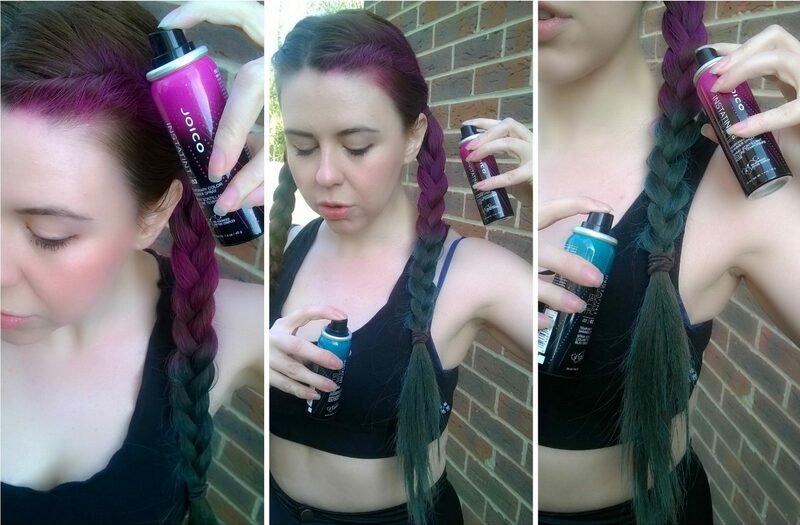 Twist, plait, spray…done! Awww yay! Glad you like it Marta! And so easy to do too. Loving the hair style. Going to practise when next I have straight hair on. These look really cute on you and I love the easy twists up at the top instead of making the braid. Love the spray on colour too! Oooo I love this! I didn’t think the colour would show so well. The one thing that puts me off is that my hair is so dark, but it looks awesome on your brunette locks so I’ll have to give it a go! Awww thank you so much! The Joico sprays are actually amazing and there’s more colours available ❤ We will be rocking a LOT this year! Thanks so much – so easy to do too! Awww you might still be able to twist the top bit to get the look and then pig tail the rest if you can’t plait it? Just showed this to my daughter who may be doing her first festival this year. Guess how she wants her hair done??? Just like this! I’m a stay at home dad with minimal female hair experience. This could be tricky but I will do my best to follow your instructions! Thanks for stopping by and hoe she enjoys her first festival! I do love this hairstyle, it is young and fun and really suits you. I have pink hair, and i love sprays, everytime my hair wash out, I just top up with it and is just great! This was AMAZING! I’ve never seen colour so bright on dark hair! And the twists are such a great idea I’m so glad I’ve found this I’ll definitely be trying it out! Awww thanks! 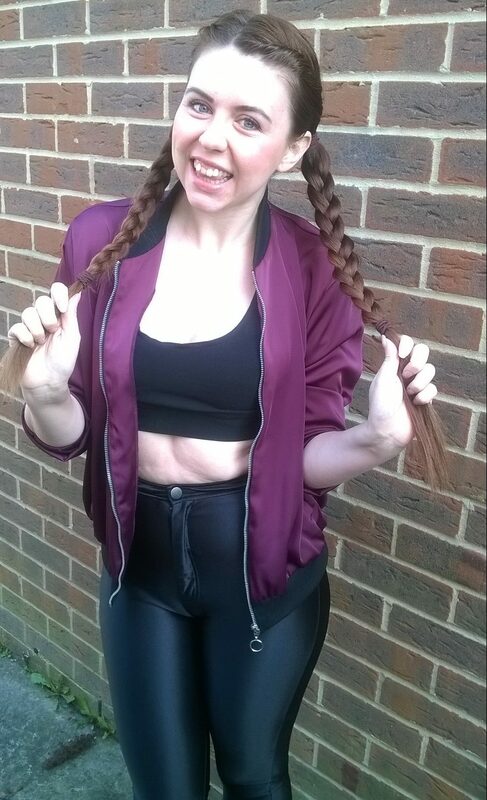 I totally think you can adapt it for shorter hair – you can still do the twist braid at the top and then maybe pigtails instead?